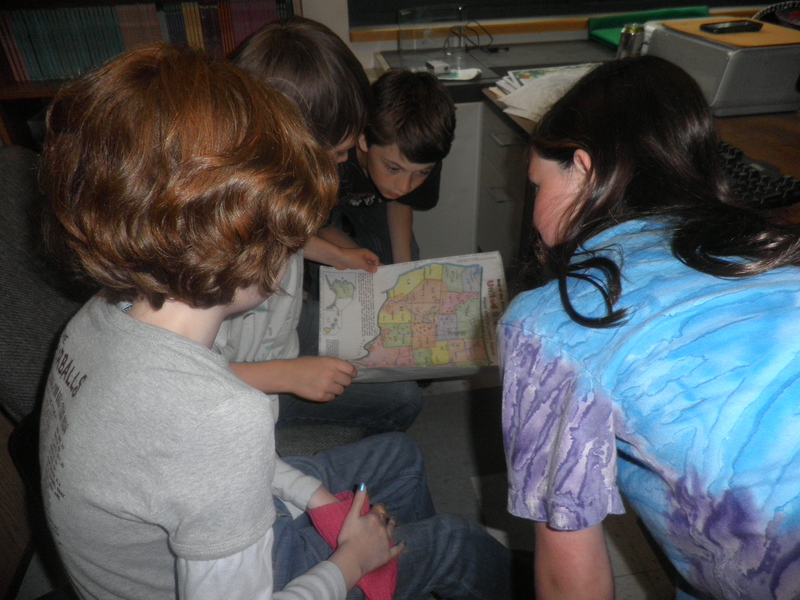 Mystery Skype – Who Could it Be? Today we had a chance to Mystery Skype! The students had no idea what class we were skyping with. 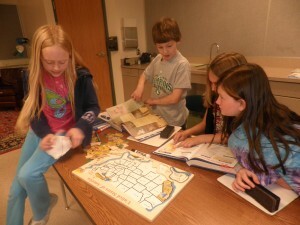 Their goal was to cooperate as a team to try to figure out the location of that class. There were a few rules to the Mystery Skype. Students had to ask closed questions (yes or no answers). Classes went back and forth asking questions to help them find the location. If a class asked a question that received a yes answer, they got to ask a follow up question. In order to be as efficient as we possibly could, students chose different roles for the afternoon. Each of these jobs had their own importance in the attempt to solve our mystery. We started with our inquirers. The inquirers were in charge of asking relevant, closed questions that would help others to narrow down where the other class could be found. The inquirers tried to use their knowledge of geography to hone in on the other classes location. They asked questions such as “are you east of the Mississippi River?” The response was “no” which helped us to remove quite a few states! We also had two question keepers. The role of these two students was to work at the laptops. They typed in each question as it was asked as well as the response. This allowed for us to review the information that had already been shared. Once our inquirers got answers to their questions, we had three Google Mappers who used online maps to search based upon the clues. 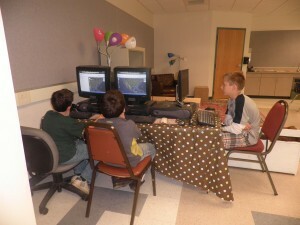 They were able to use the computers to zoom in on different regions, states and cities. 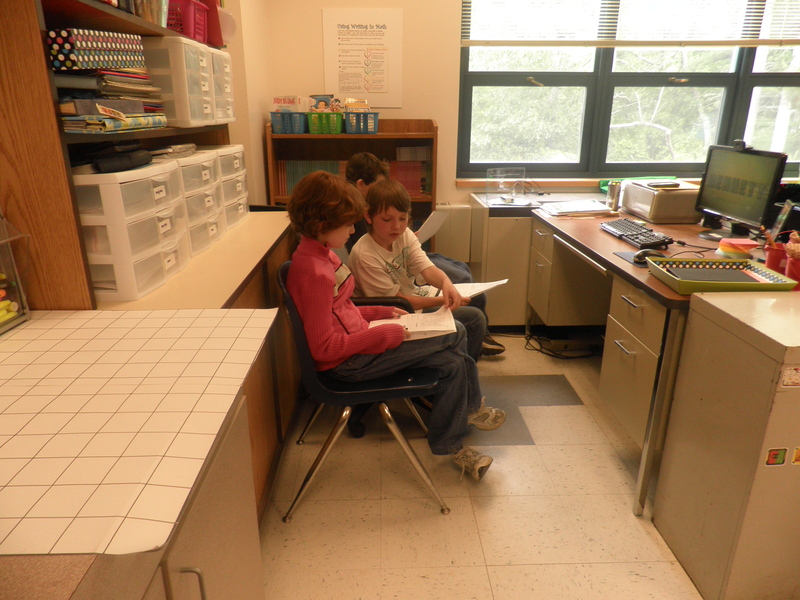 They could share information they found to help create new question. Our runner was quite the multi-tasker. 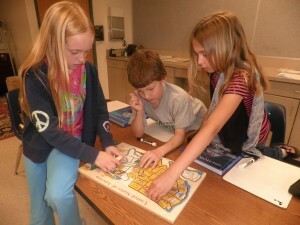 She was in charge of solving any problems that other students encountered. She also took information and questions from the other students and shared it with our inquirers. She was called the runner for good reason! Our last two jobs were our logical reasoners and clue keepers. Our logical reasoners were in charge of using given information to try to remove possible states. They used a puzzle of the United States to pull away states that we knew it could not be. While they worked on this, our clue keepers used maps to mark down any relevant information. They could cross out, circle, or dot areas to help us figure out the location of the mystery class. So many great questions were asked on each side. The other class was able to narrow down that we lived in Massachusetts. We were able to figure out that they lived in California. We started running out of time though so we had to each give one large clue that would help the other class determine the location. We shared that we were right next door to Plymouth, which is where the Pilgrims landed when they first arrived in North America. After taking a closer look at the map, they were able to determine that we lived in Plympton! They then shared the hint that where they lived had the largest population in their state. Our Google Mappers switched over to Google Search to find their information. We decided that they lived in Los Angeles, California. We were correct! 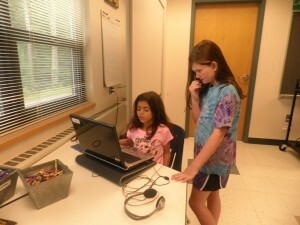 The next step was to try to figure out whose class we were skyping with. We thought about who we knew that taught out there and guessed that it was Mrs. Yollis’ class. We were right again! We’ve spent a lot of time this year learning from Mrs. Yollis’ blog so we were able to be great detectives and solve the mystery! We want to thank Mrs. Yollis and her class for taking the time to skype with us! They had amazing questions and worked incredibly well as a class. Mrs. Yollis is a very lucky teacher to have those students! Thanks for this great description of Mystery Skyping. I’m working on a guide for some 5th grade teachers and included a link to your blog. What a detailed post about your Mystery Skype experience. It has cleared up many questions for me and will help me to bette prepare my students. I will be sharing the information with my teacher team so that we will be ready! I am so excited about this new experience. I’m glad our Mystery Skype post was able to help out! It was an amazing experience. Linda Yollis has a couple great posts about it as well! You should check those out. I hope you have a chance to use it during the new school year. We’re definitely open to it at any point during the year! See you at open house August 30! I’m very excited as well. I’m really looking forward to next year. I know everyone’s going to have fun but work really hard! I hope you’re enjoying your summer so far! I absolutely love this idea and can’t wait for school to start up again to try it out! I know my students that have just finished school would have been completely absorbed by Mystery Skype! I have tweeted your idea & links to this post and the sign up page – hopefully we’ll get lots of interested people from all over the world! Thanks for a great idea and an excellent post detailing how it worked in your classroom. Thanks for writing in! We’re really glad you enjoyed our post about Mystery Skyping! I’d love to know how it goes when you try it next year! Come back and let us know how it went! Awesome team work, I loved how you all worked together and achieved a great result. Thats what I call outstanding team work! I just love the fact that you were able to skype with your blogging pal Mrs Yollis and her students. I also love how you were able to skype with Mrs Morris, Miss Jordan and with the students in Geelong just the other day. This is the power of blogging learning and growing together. Also thank you for your reply back to me on Mrs Morris and Miss Jordans blog your reply is very much appreciated. Thanks for writing in. We really appreciate your comment! The students did such an amazing job of cooperating to figure out where Mrs. Yollis’ class was. Blogging really is amazing. You’re able to make so many amazing connections. To be able to connect with two great classes is wonderful. Are We going to be able to use your blog in 6th grade? I can’t wait until August 30th and 31st. I’ll see you at Open House. Until then, have a great summer! 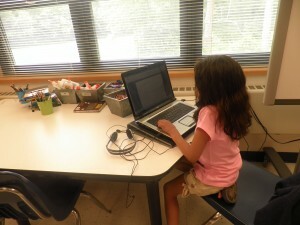 You will definitely be able to use the blog in sixth grade! We’ll be doing a lot with it next year. You can feel free to write in at any time this summer though! I liked skyping with you it was very fun. Do you like animals or not? Great idea Mr. Avery and Class! This is a wonderful activity that I will also be using next year. Hi Natalie S. thanks for visiting and posting such a nice comment on our blog. We love to Skype too and because we are in California, Skyping with Western Canada and New Zealand works well for us. This is a great idea! I love it. School doesn’t start til September, though; I’ll have to check back! How do you address classrooms not in your time zone? We think the mystery class was the Year 3 Superstars. Was it? Do you guys and gals still have homework? We don’t. You were wrong. 🙁 It was Mrs. Y&heartsllos’s class! We don’t have any homework anymore. We only have four more days of school. How many days until you get out? 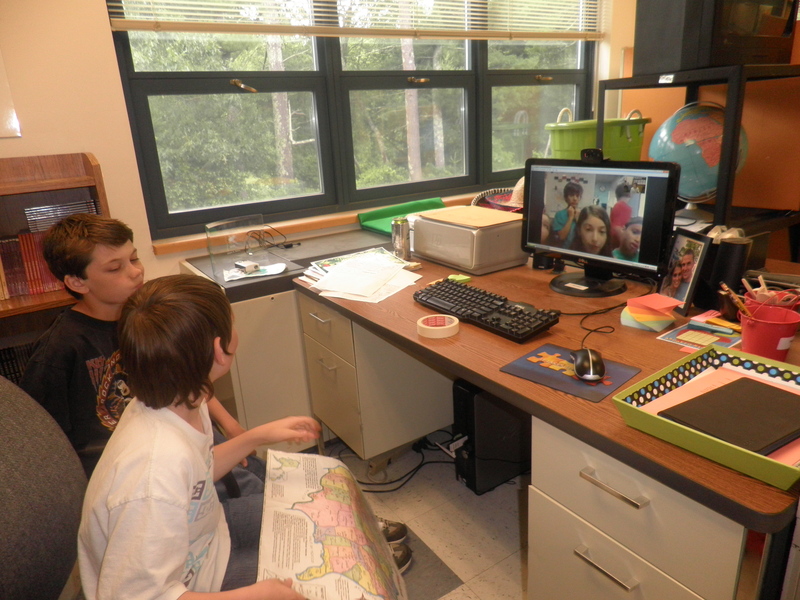 This is a terrific post about your Mystery Skype session! What a way to keep the energy and learning high at the end of the year! I would love to try this next year with you and our 6th graders! PS. Big game on Wednesday! To the best! 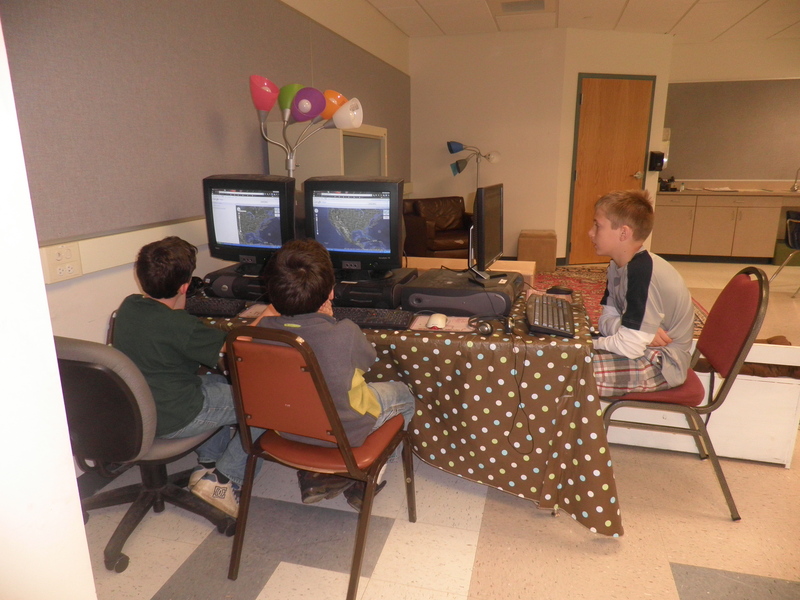 It looks like you all had so much fun with your mystery Skype call! I like the way you all had special jobs to do. When you all cooperate and work together it is amazing what you can achieve! I did not know that Plymouth is where the Pilgrims landed when they first arrived in North America. From watching tv, I think that has something to do with thanksgiving? 2KM and 2KJ would love to do a mystery Skype call sometime. We will have to polish up our geography and research skills first I think! The pilgrims had a cold and rough winter, so they made a huge feast to celebrate the great harvest. They called it the Thanksgiving feast. That is why we have Thanksgiving. In Plymouth they have shops the model of the Mayflower. The Mayflower is the boat that the Pilgrims sailed on. There was another boat called the Speedwell but it leaked, so they had to go onto the Mayflower. They also have the Plymouth Rock. The Plymouth Rock is a rock that the pilgrims stepped onto. I love Plymouth! 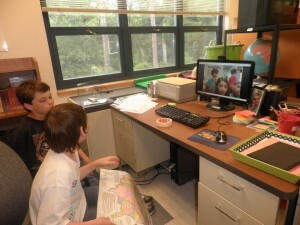 Thank you for such a wonderfully detailed post about doing a Mystery Skype call. I’ve signed up to be part of the group of next year and will be referring back to this post at that time. Having different jobs for students to do is important during a Skype call so that everyone can be engaged. Did you have a camera person? I use two or three camera people, one digital and one or two Flip cams when we Skype. Hope to Skype with you next year. Thanks for your comment! We did have a camera person. I don’t know how I left that part out! We’d love to be able to Skype with you next year. It’s amazing being able to learn from so many other classes!